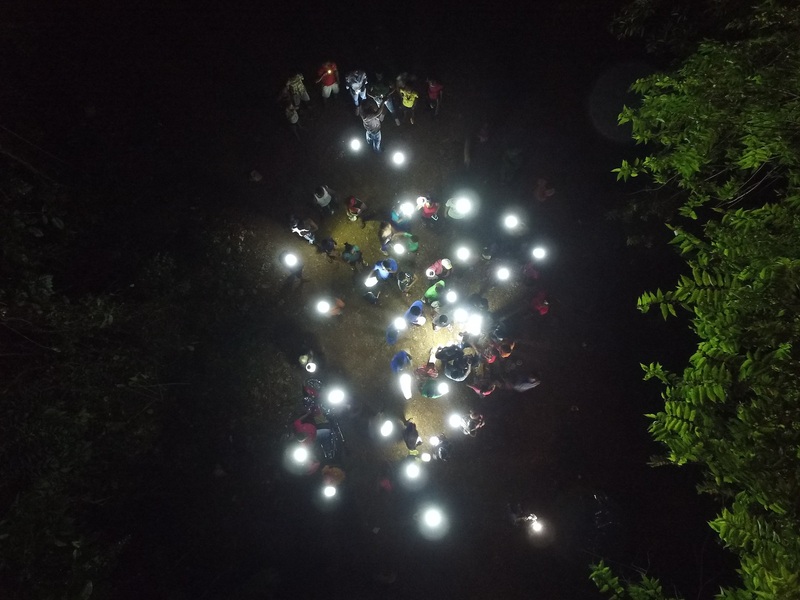 On May 2nd, social activists Shawn Hakim and Jacqueline Gallardo launch The Dominican Light Project, an Indiegogo campaign that will raise funds to provide light to the Dominican Republic using solar lanterns. Currently, 88% of the Dominican population experiences nightly blackouts. More than one million people live off the electricity grid entirely. Financially struggling families, when possible, light their homes with kerosene lamps or candles, which produce numerous health and safety risks. According to the Institute of Developing Economies, kerosene is the third leading cause of illness in children 0-4 years old and kerosene-powered lamps cause 23% of reported infant burns. It also poses an environmental issue; one kerosene lamp releases over 164 kg of carbon dioxide each year. The Dominican Light Project strives to eradicate these risks. Each inflatable lantern contains an integrated solar panel and produces 12 hours of light per 6-8-hour charge. One lantern lasts 2-5 years. These solar lanterns pose no fire hazard and do not generate the dangerous fumes produced by kerosene lamps. They are also waterproof, shock-resistant, and require zero maintenance. With these solar lanterns, the Dominican Light Project is working to change lives by providing risk-free, affordable, and sustainable lighting solutions. Shawn Hakim and Jacqueline Gallardo are the founders of Esenciales J.S. SRL, the non-profit social enterprise behind this campaign, and the organization that has already provided light to thousands of homes in the Dominican Republic. In 2013, Hakim was a student of UCLA Anderson, obtaining a Master’s in Business. At the time, he was looking for a way to apply his business acumen to a social cause. He spent hours each week conducting research, learning what other companies were doing and what new social innovations were underfoot. During his research, he came across an article on solar lanterns and discovered that this technology could potentially help bring light to the millions of people across the world who currently live off the power grid or face regular blackouts. He was amazed by this product, which provided a solution at a lower cost point than expanding the electricity grid or creating solar farms. Two weeks later, Hakim was on a Copa Airlines flight to Costa Rica, which connected through Panama. Sitting to the left of him was Jacqueline Gallardo, who would become the co-founder of Esenciales. Gallardo, raised in the Dominican Republic, was on her way home. “For whatever reason,” says Hakim, “we clicked.” Gallardo shared her experience of growing up in the Dominican without access to light. Hakim, having just come across the article about solar lanterns two weeks prior, shared his newly found knowledge with Gallardo. She recognized at once that this was product that could help a lot of people in the Dominican Republic. The pair kept in touch and eventually decided to visit the country in question and determine how they might make a difference. A few months later, Hakim and Gallardo visited the village of El Choco, located in the Dominican’s El Choco National Park. It was early morning and still dark when the activists arrived. As they approached the village they were greeted by a strange glow. In discovering the light-source they caught a glimpse of a larger lifestyle: A boy had dipped moldy bread in kerosene, which he was using as a makeshift torch to light the way to the road. The boy explained to Hakim and Gallardo that he wakes at 5:00 A.M each morning to walk 5-6 miles in the dark to reach the road. He walks along the road to the main town in order to take multiple buses to get to school. These long trips through the dark were not uncommon for the children of El Choco. Children would wake early to make the journey to school and would not return until late evening, after sundown. The boy and his friends would often shine shoes or wash cars after school in order to help their families, not returning home until after 8:00 P.M. “How can you expect a kid to study?” Hakim asks. Hakim and Gallardo maintain that light is a crucial building block towards prosperity. Hakim’s assertion, and the foundational principle of The Dominican Light Project’s Indiegogo campaign, is that “after food, water, and shelter, what’s the next basic thing? It’s light.” After that visit to El Choco, Esenciales was formed. The newly-formed social enterprise lit up the village in 2014. They’ve since provided several more villages and small towns with solar lanterns. According to findings from surveys conducted in these villages one year later, the amount of time in which children are able to study has doubled. There is a heightened sense of safety and greater overall health due to a reduction in kerosene use. Solar lanterns also lighten the heavy economic burden that weighs on many Dominican families that live off the electricity grid. According to a Dominical Light Project survey of 7, 500 people living in low-income communities, the cost of kerosene to light a home is approximately $77 per year, or $385 over five years. For a family that earns only a few dollars a day, this equates to roughly 27% of a family’s annual income. These families cannot afford to purchase a lamp outright, as the majority of their daily earnings are spent on food, housing, and basic living necessities. Though kerosene and candles are often purchased in small increments, Hakim says “it adds up to staggering numbers.” Consider an American household with an income of $50,000. The equivalent cost of light in terms of income percentage would be nearly $15,000 per year on just light alone. The solar lanterns that the Dominican Light Project will provide can last 2-5 years, which in five years amounts to $385 in savings per unit, a sizeable percentage of a household’s income. For every $25 raised, five Dominicans are taken out of darkness — contribute to the Indiegogo campaign now.